Comet NEAT passed through SOHO's C3 coronagraph's field of view on February 18, 2003. 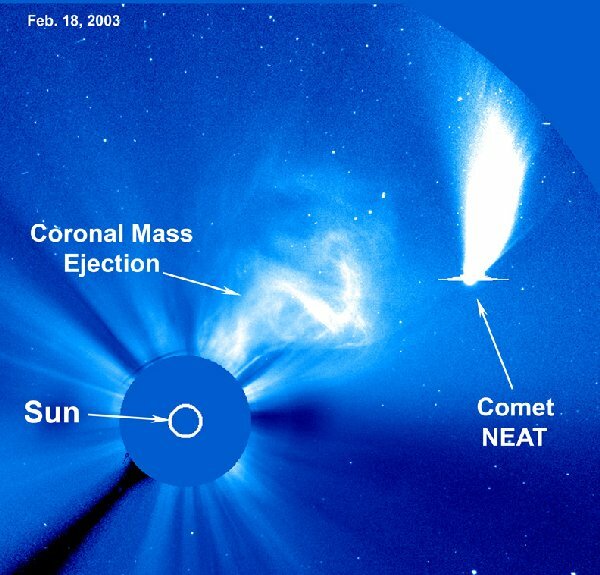 It remains one of the brightest comets observed by SOHO. Scientists were very interested in studying how the comet and its tail reacted to the strong coronal mass ejection that blasted out in its direction. The coronagraph blocks out the Sun's intense light to allow us to see faint objects in the corona.